FORT BRAGG, CA ., February 21, 2019 - Craft beer enthusiasts and Jazz aficionados alike can rejoice because North Coast Brewing Company has reintroduced its Belgian style abbey ale, Brother Thelonious, nationwide and internationally, with a fresh new look and the same great taste. North Coast Brewing’s award-winning Brother Thelonious is widely loved due to its rich, complex flavor profile and its namesake, legendary Jazz icon Thelonious Monk. Fans of Brother Thelonious can expect to find the strong dark ale on draft as well as in 750 milliliter and 12 ounce bottles showcasing an updated appearance. With an ABV of over nine percent, this robust ale is North Coast Brewing’s bold interpretation of the Belgian style abbey ales brewed by Trappist monks. Brother Thelonious’ refreshed label is a striking depiction of the inspiration behind this beer. The artwork presents a nod to the Belgian monks that popularized this style of ale alongside America’s own “monk” - famed Jazz musician Thelonious Monk. Artist, Eric Grbich, painted the artwork to beautifully capture every element in the vision for this label. As part of its mission to make the world a better place one pint at a time, North Coast Brewing is proud to make a donation from the sale of every bottle and keg of Brother Thelonious to the Jazz education programs of the Monterey Jazz Festival. In addition to this contribution, North Coast Brewing has been the Official Brewery Partner of the Monterey Jazz Festival since 2006. 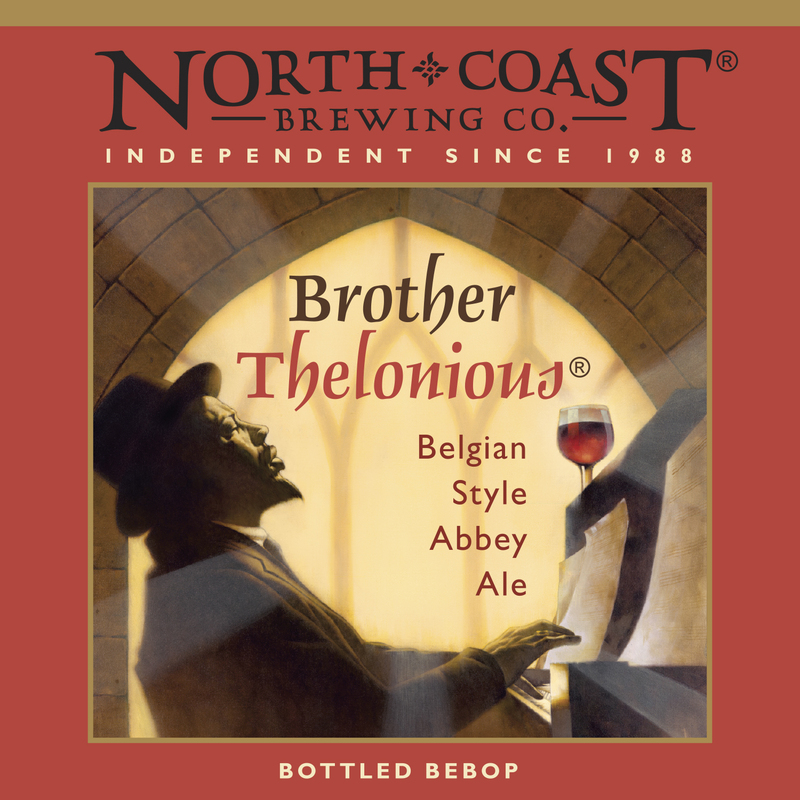 North Coast Brewing Company produces Brother Thelonious Belgian style abbey ale under a licensing agreement with the Thelonious Monk Estate. To find Brother Thelonious on draft and in bottles, please visit North Coast Brewing’s beer finder: https://northcoastbrewing.com/beers/beer-locator/.